?Both anxiety and stress cause a cascade of chemical reactions within the brain. Overstimulation of the hypothalamic pituitary-adrenal axis can damage the immune system and cause a host of related health issues.? The nervous system is a network of specialized cells that communicate information about an organism's surroundings and itself. Sensory neurons, motor responses, reflexes and more fall within the nervous system. With every spray, Neuro Care? provides nutrients that are crucial to the health of the nervous system. Take yours to feed the brain, calm the nerves and enhance the mind. No more capsules or pills. Creative Concept Labs? Intra-oral sprays are a new age in supplementation. Just spray, swish and swallow. Neuro Care? has a mild, pleasant taste with a hint of natural mint. Neuro Care? calms and relaxes the mind. Customers who use Neuro Care? claim improved clarity, and far less headaches. Neuro Care? improves memory, alertness and reduces brain fog. Neuro Care? optimizes reflexes and motor responses. Neuro Care? results are fast acting and safe. Usually significant benefit can be felt within the first few hours of product use. Continual use provides increased and continual benefit. Neuro Care? has no side effects. Formula derived using a proprietary selective nutrient extraction process with ultra-distilled water, Peppermint Leaf (Mentha x piperita), Devil's Claw Root (Harpagophytum procumbens), Mugwort Herb (Artemisia vulgaris), Peach Leaf (prunus persica), Chamomile Flower (Anthemis nobile). 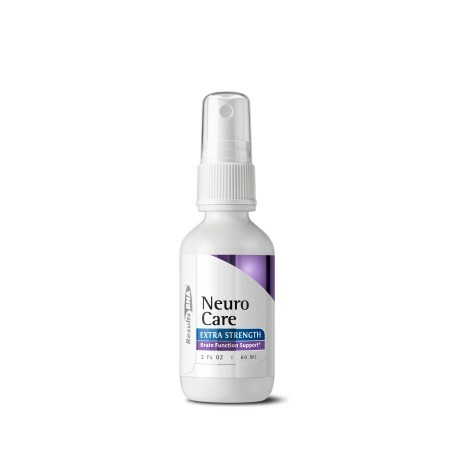 Take Neuro Care? with ACS 200? Extra Strength and ACZ nano? Extra Strength to achieve optimal nervous system support and total body detoxification. Neuro Care? is produced under strict GMP manufacturing controls in conformance with guidelines for dietary supplements set forth in USP XXVII. For purity and quality, Neuro Care? contains no preservatives ? no alcohol ? no artificial coloring or flavoring. For customer support, please call 1 888 234 6863.